Another year is almost over, which means it is time to reflect upon all of the models Games Workshop released in 2018, and talk about some of our favorites. It was another good year for GW with a lot it diverse releases, including a new edition of Age of Sigmar and 8mm plastic Titans for Adeptus Titanicus. And while no release was perfect, they were more complete and compelling then years prior. Some were so good that we didn't even feel the need to convert them. With this post, we wanted to talk about some of these highlights and choose what we think is the best release of the year! With 2018 coming to a close, we spend the episode talking about our major hobby projects and accomplishments throughout the year. We reflect on the process behind each and what we learned along the way. Finally, we talk a little about what 2019 will bring! 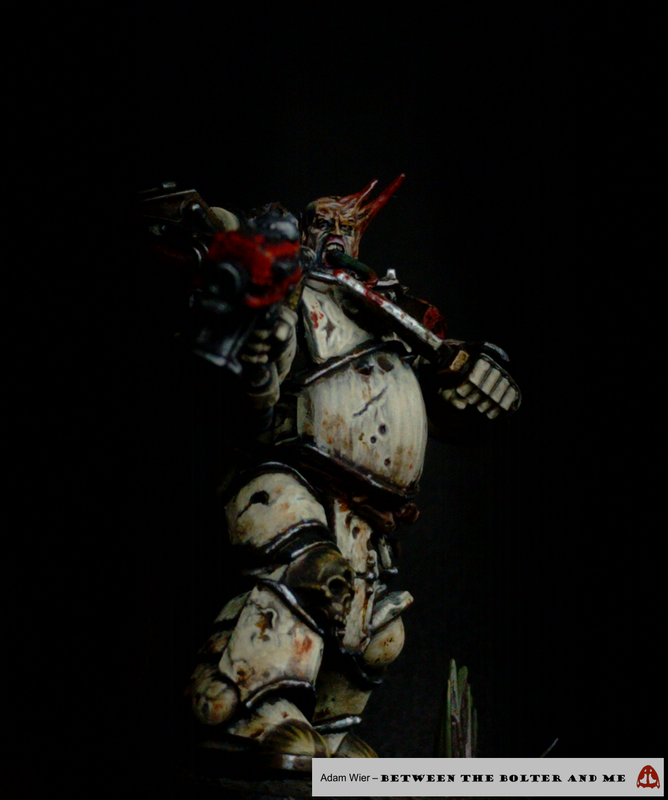 The Happenin’ Habber stands tall next to a Cadian Shock Trooper. 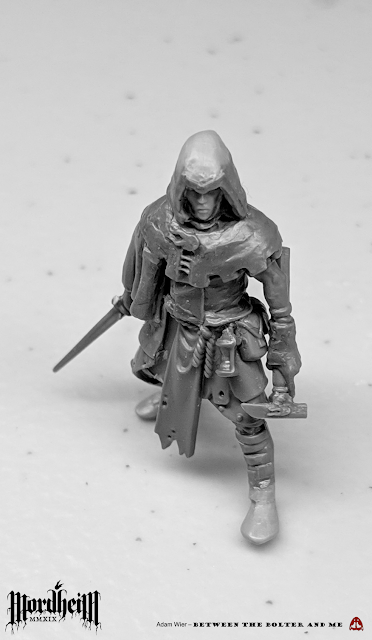 Converting models is one of our favorite aspects of this hobby; it offers an unprecedented ability to explore Games Workshop’s settings, unfettered by rules or the imagination of the original sculptor. 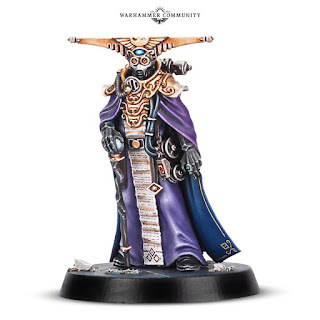 Within the last few years, Games Workshop has made converting models much easier, due to their rapid release schedule and releasing virtually all of their models in plastic. This has also made it possible to make many convincing conversions by splicing together various kits with minimal need for modeling putty. Over the years, however, we have started spend more and more time sculpting things and using green stuff to make minor changes to models to get them exactly to our liking. While this is fun, it is also incredibly time consuming (our infiltration expert took weeks to create, for example), reducing the amount of models we create. 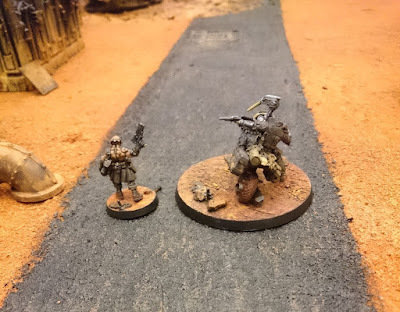 With this in mind, we wanted to start a regular feature on the blog (hopefully once a month or every other month), that we push ourselves to convert a model within a few sittings, without extensive green stuff work. 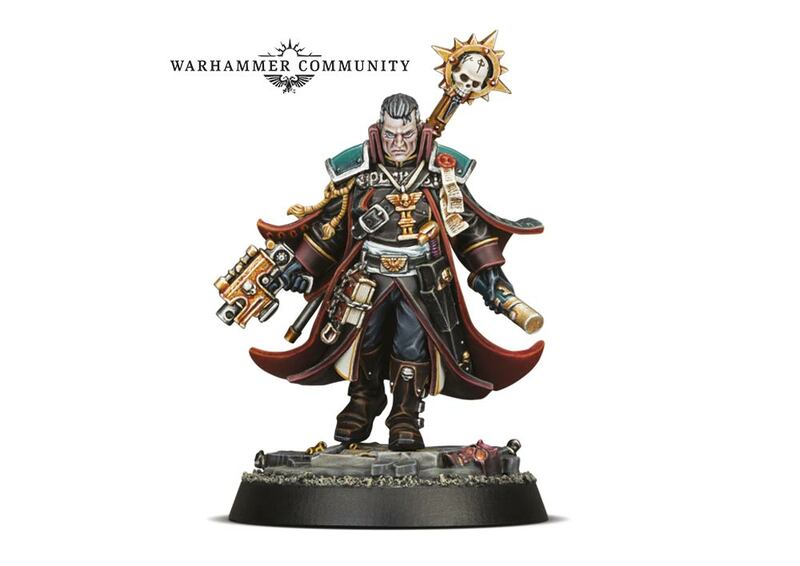 We hope it will allow us to attempt new things, gets some use out of models that have sat unused on our shelves, and ultimately convert more models! This episode is focused on the newly-released Delaque gang for Necromunda. 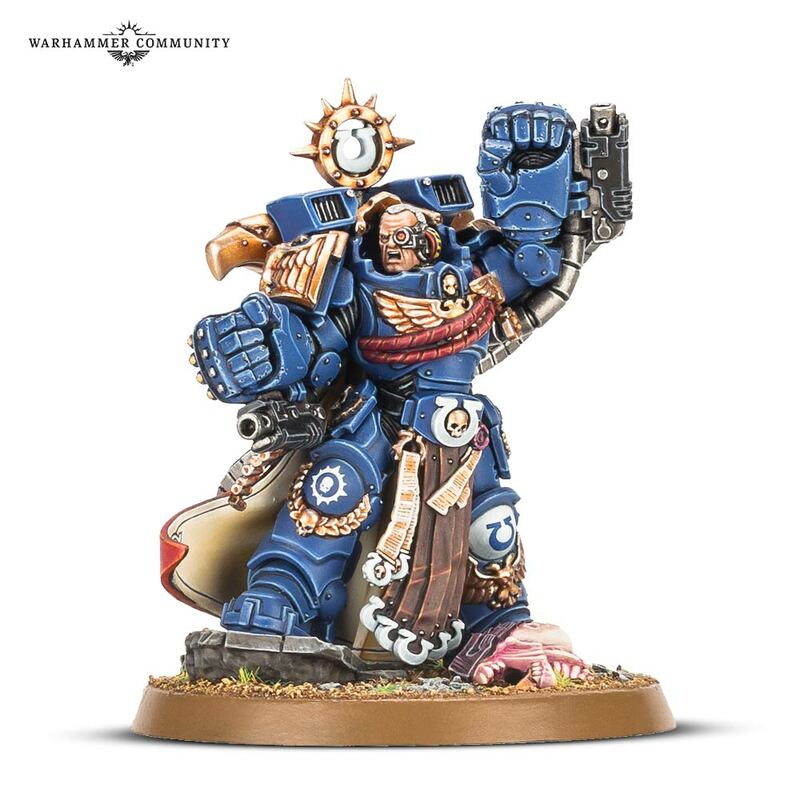 We talk about the quality of the models’ design, emphasizing how they scale with other models in the range and Warhammer 40,000 in general. We ponder why their firearms were designed to be so massive, and how it runs counter to the thin, stealthy look of the rest of the models. We also talk about how the models could be used on conversions and discuss one we are working on currently. Let pain be your guide. A few weeks ago I revealed work-in-progress images of the first model in my SIsters of Sigmar warband for the upcoming Mordheim 2019 event. I have continued to work on the first model, doing more greenstuff work, focusing on resculpting her boots. The sculpting work is a slow process, so I also started work on a second sister for the warband. 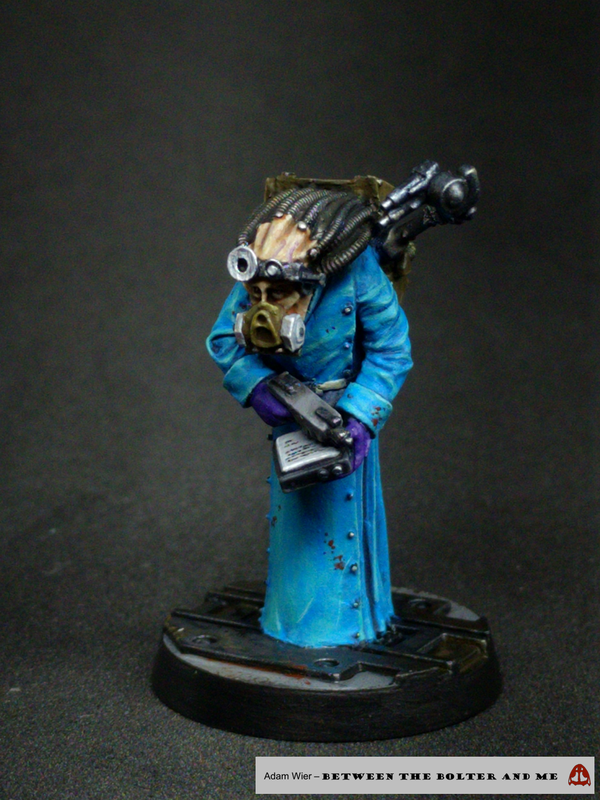 This one is based on the female acolyte model from the Warhammer Underworlds Eyes of the Nine warband. The model has an excellent sense of motion, that I thought would transition well into the warband. The major difficulty of using the acolyte is that she has very little clothing, which does not fit with the Sister of Sigmar aesthetic. As a result, the majority of my initial work has been focused on sculpting clothing on the model. I also replaced her sword with a hammer, more fitting with the Sigmar mentality. The model still needs a huge amount of work done on it, but I wanted to show its current progress to get feedback! Any comments and suggestions are welcome! We have had a section of the blog dedicated to talking about the different tools we use for our hobby endeavors for a few years now. We have grown as hobbyists since the blog was started and felt it was time that we updated this list. The most important tool for this hobby is, without a doubt, having a good knife with disposable blades. It is essential for removing mold-lines and excess plastic from pieces after they are removed from the sprue. While there are many types and brands, we have come to prefer the X-acto #1 Precision Knife, equipped with the #11 Classic Fine Point Blade. The #11 blade has a fine point that is excellent for delicate detail work, and the spine has a flat surface that is good for removing mold lines, eschewing the need for buying a separate mold-line removal tool. A simple X-acto knife with a classic #11 blade has served use well for many years. We spend the episode discussing the Vigilis Open day and its ramifications for the future of Warhammer 40,000. We spend the majority of the episode talking about the newly revealed models, including Marneus Calgar and Genestealer Cultist motorbikes. We spend the episode discussing Warhammer Quest Blackstone Fortress. 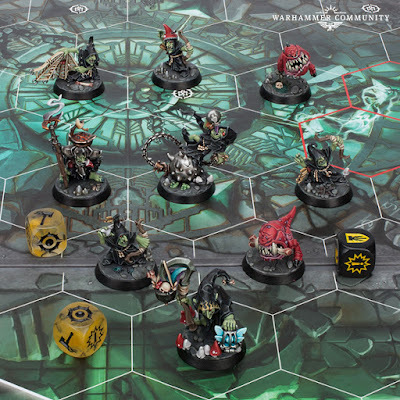 While most of the episode consists of us analyzing each of the models contained in the boxed set, we also talk about the game itself and Games Workshop’s efforts at making better board games. Watch this episode on Twitch with pictures! 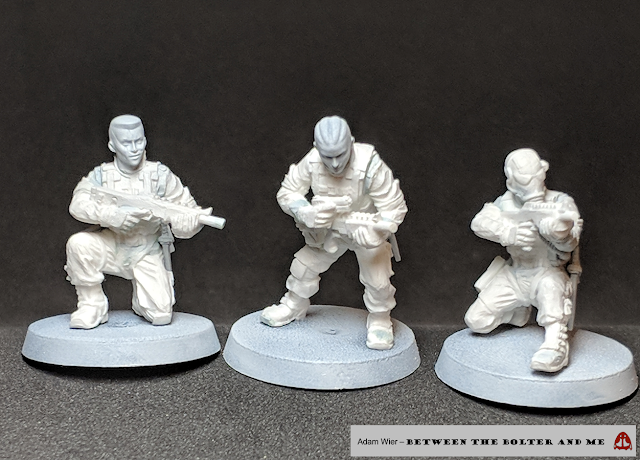 Earlier this year, Eric showed some initial models for a Roadside Picnic inspired undead warband, for the upcoming Mordheim 2019 event. Not content with building just one warband, I resolved to create a group of Sisters of Sigmar. When approaching creating a Sisters of Sigmar warband, I decided a complete overhaul of their design was necessary. The original Sisters of Sigmar models have not aged very well. They have a very caricatured Viking-warrior/nun aesthetic, complete with metal belly plates and starched robes. They are also posed very awkwardly, with nearly every one of them holding their oversized weapons aloft in one hand and a raised, clenched fist for the other. For my redesign, I wanted to go for a hooded/cloaked wanderer look. This warband has likely been through the ringer and are used to roughing it in the wilderness. While I am only at the work-in-progress stage on the first model, I wanted to show some pictures of the model and see what people think. With Orktober coming to a close, we discuss some models revealed by Games Workshop at Spiel ‘18. 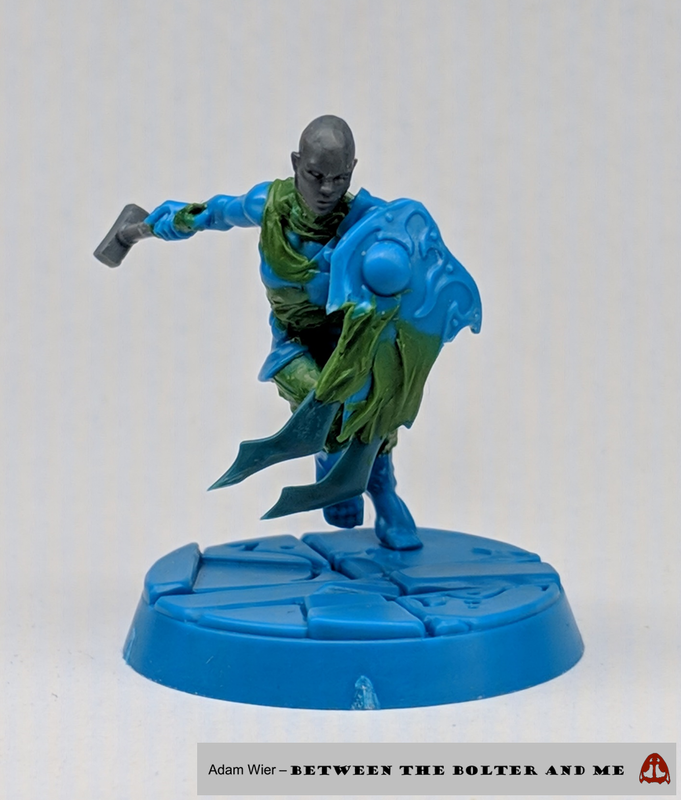 The first is an Undead team for Blood Bowl that finally has some updated zombie models. The second is a warband for Nightvault, Mollog's Mob, with consists of an ancient Dankhold Troggoth accompanied by a few squigs and fungus creatures. 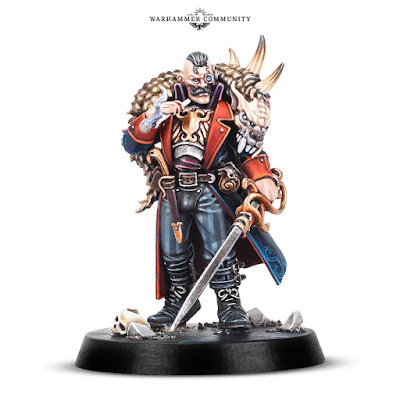 Finally we talk about the first model shown for the forthcoming Blackstone Fortress game, a dapper looking Rogue Trader. It has been almost 3 years since we started our podcast Dragged into Turbolasers, and almost 6 since the blog itself started. Each of these has been an effort to share our hobby efforts, and also connect with the wider community. Both of these have been an incredible success, with us interacting with many miniature hobbyists from all around the world on a daily basis. It has resulted in some life-long friendships. In an effort to continue to connect with people who love this hobby as much as we do, we are going to try to venture into doing some live streaming on Twitch! Dragged into Turbolasers Episode 46: New Warhammer Underworlds warbands and a Fiend of Slaanesh?! With the new edition of Warhammer Underworlds just released, we discuss the models for the first new warbands released outside of the boxed game. We talk about how the new goblin and Tzeentch warbands fit in with and expand the already established imagery. We end the episode talking about the first images of a Slaanesh model that is likely a redesigned Fiend of Slaanesh. By the manner of their death we shall know them. Games Workshop recently released an updated version of Adeptus Titanicus, complete with new rules and multi-part plastic models. We talked about the quality of all of the components contained in the Grand Master boxed set, but didn’t actually assemble any of the warlord titans it came with. 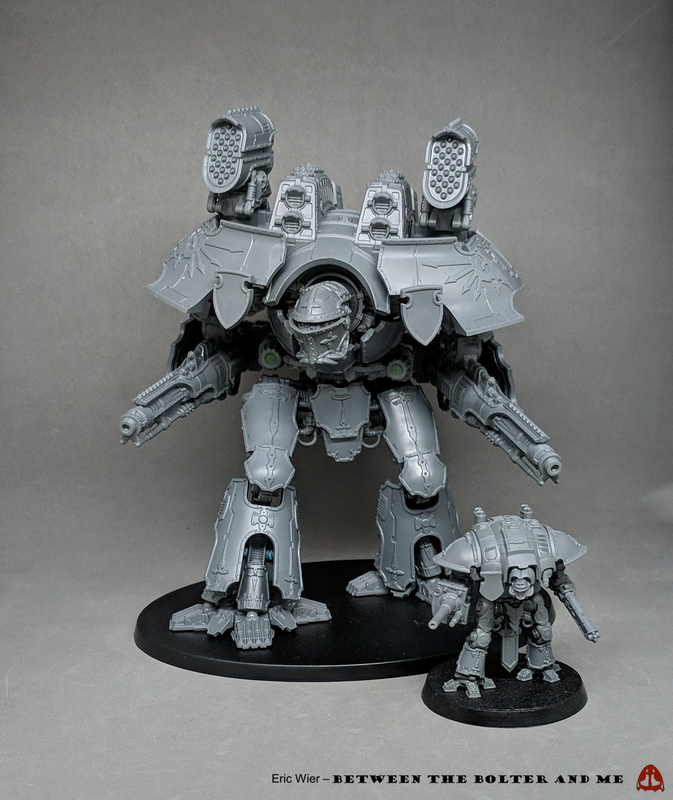 I recently finished assembling the first and wanted to talk a little about my thoughts of the model! Logo created by Tears of Envy. Mordheim, Games Workshop’s Old World skirmish game, will turn 20 years old in 2019. To celebrate this achievement, Alexander Winberg from Echoes of Imperium is hosting a collaborative event to explore what has happened to the City of the Damned in these 20 long years. In this episode we talk about the event and some of our ideas for warbands that could take part in it. For over a year now, I have been converting and making molds for some Imperial Guard models with a focus on realism and scale, rather than ostentatious “grimdark” elements. While Eric quickly assembled and painted a few for Iron Sleet’s Thorn Moon Crusade, they were more of a proof of concept rather than my final vision of the models. After a lot of consideration, I decided to paint my first of the Imperial Guard models as soldiers who excel in urban warzones. Although it was a slow process, I completed the first model and wanted to talk about the painting process! The Death of Innocence is Come. 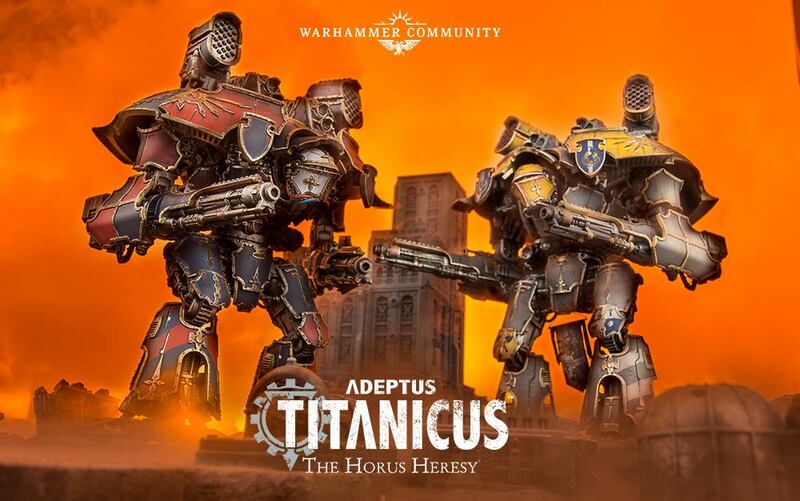 Some 30 years after its original release, Games Workshop has released a new version of Adeptus Titanicus, a game that puts you in command of a maniple of colossal robots called titans. 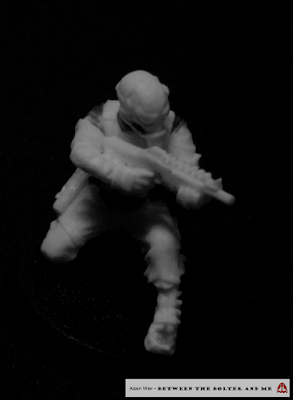 The game has been in development for a few years now, getting delayed substantially when Forge World decided to convert the 8mm scaled models from resin to plastic. It looks like it was worth the wait, as the titans are completely multipart and fully articulated. When pictures were first revealed of the models, including tiny Imperial Knights, my brothers and I knew we would not be able to resist getting some. While they sell the rules and models separately, we decided to buy the boxed game (called the Grand Master Edition), as we felt it was more likely that we would actually play the game that way. And while I am still far from finished assembling, let alone painting, everything that came in the boxed game, I wanted to give you my first impressions of Adeptus Titanicus. More Sisters of Battle 3d renders! 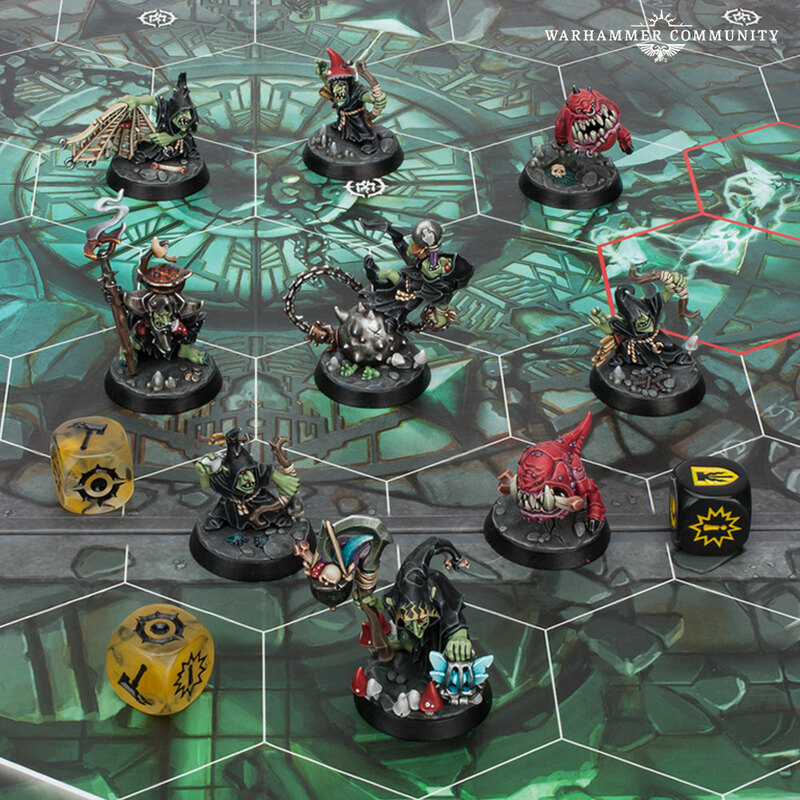 Right on the heels of Warhammer Fest 2018, Games Workshop visited Nova Open 2018 and revealed a host of new models and other announcements. First, we talk about more details on the Speed Freeks game and a new Ork warboss model. 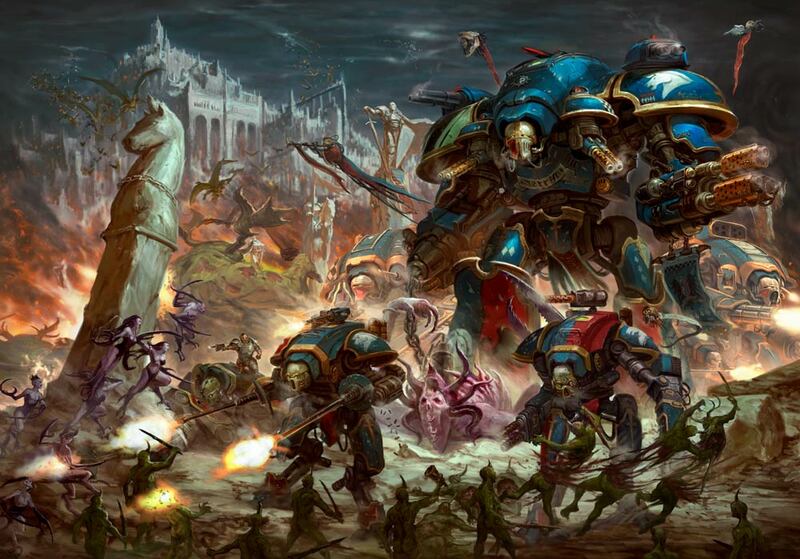 We also discuss new 3d renders of the upcoming Sisters of Battle release. Additional details were also given for the second Warhammer Underworlds game, Nightvault, and we discuss some of the new models. Finally, we speculate on what the newest Warhammer Quest game will be like, called Blackstone Fortress. The Age of Knowledge is Dead. After a long hiatus, we are back to talk about the many announcements that occurred during Warhammer Fest 2018. We start by talking about the newly-released Adeptus Titanicus, and admire the upcoming warhound models. We then discuss the recently released Kill Teams game, and muse on what the upcoming Rogue Trader release means for the game. Next we talk about the upcoming redesigned Ork warbuggy model that will be released in the Speed Freeks boxed game. Finally, we wrap up the episode by analysing the 3D renders of many of the bolter designs for the redesigned Sisters of Battle. Recently, I converted a reconnaissance soldier out of one of the newly released Van Saar models. The Van Saar armored bodygloves seemed ideal for converting a oberative that engages in all manner of espionage and infiltration missions. I am happy to say that I was able to find the time to paint the model recently, and wanted to talk a little about it! As the month comes to a close, the Thorn Moons event is almost here! 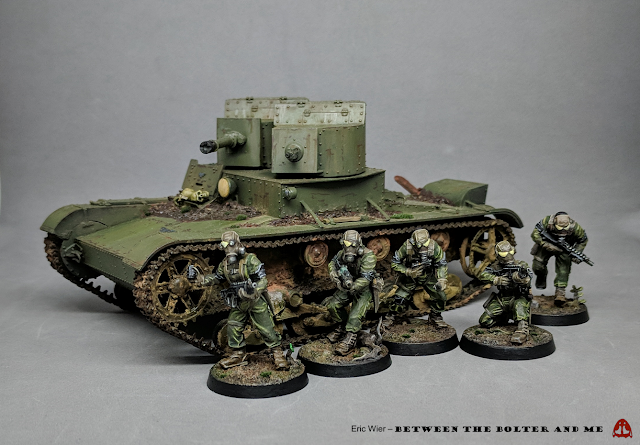 With the T-26 tank finished, all that was left was to paint some of the Imperial Guard that we converted as Spireguard. To fit alongside the tank, I chose a similar color scheme with drab greens and browns. Below are some pictures of the completed kill team and the background we wrote describing how they fit into the setting. 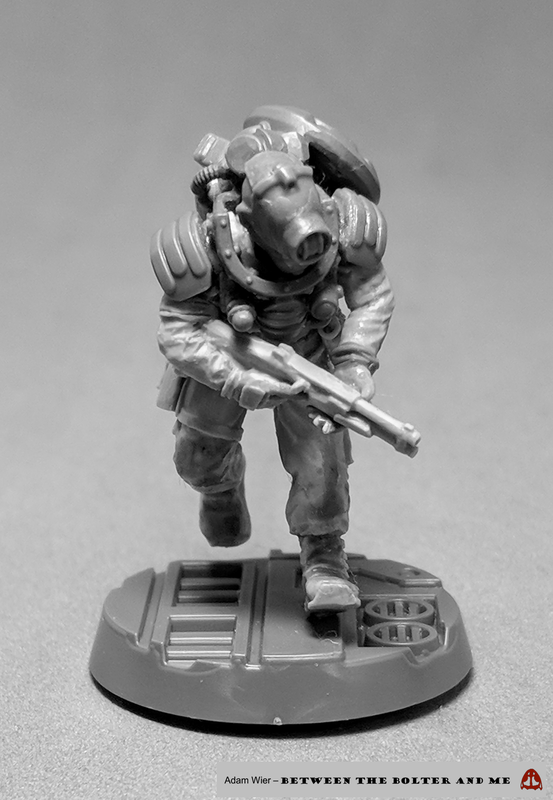 I only just finished converting my jetpack-wearing mercenary for Mare Solum, a less than a week before the event is taking place. 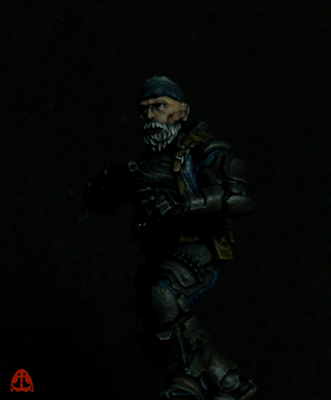 This only left me with a few days paint the model, a schedule much faster than I normally like when painting a model. Despite this, I took challenge and even found time to test out a few new techniques! Over the last few years, the Inq28 movement has steadily been increasing in popularity, as evidenced by more and more collaborative events, such as the Pilgrym and Tor Megiddo. Relatively few have taken place in the USA, however, aside from the Curse of the Alabaster. Vince Fiore, of the Dark_Tech_ fame is looking to change that with his world-building collaborative project Mare Solum. The setting has a great deep-sea diver/nautical theme that I thought would be fun to explore. Having just spent a lot of time converting and creating molds for some Imperial Guard, I decided this would be a great opportunity to see what diverse things I could create with them, trying to make them visually distinct from the stock models, but also fitting with the Mare Solum theme. 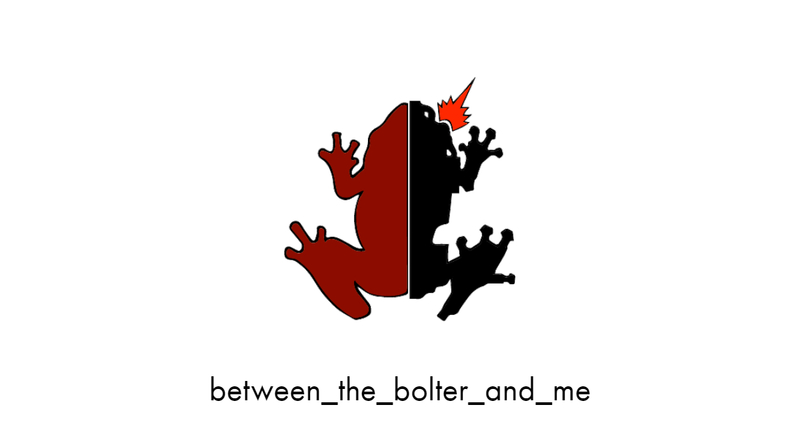 We are excited to reveal that the three of us from Between the Bolter and Me will be contributing to the newly-revealed digital magazine: 28! 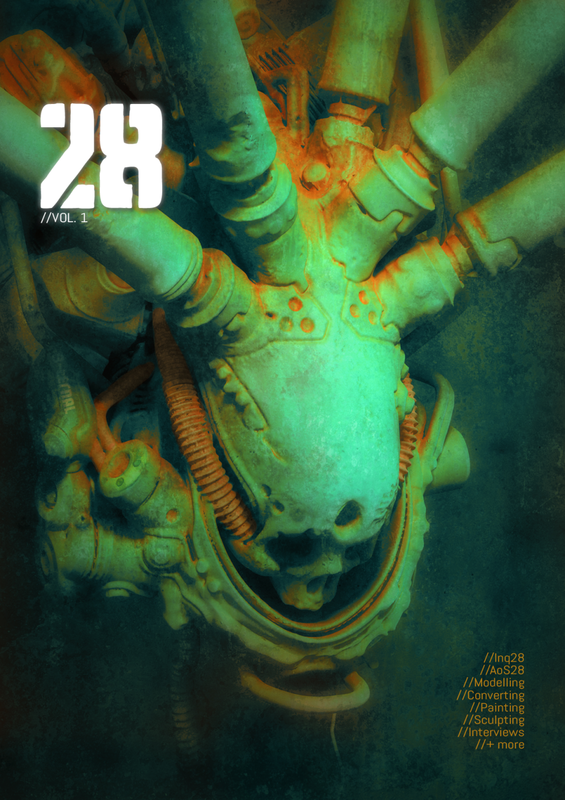 28 is a free bi-annual magazine that focuses the Warhammer hobby with an emphasis on creativity and exploring the more esoteric elements of Games Workshop’s settings. Excitingly, the first issue is to be released this fall! Although we do not want to give too much away, you can follow the magazine to hear of new developments on their website, along with facebook and Instagram! The Rhani of Yhanzi march next to the T-26. 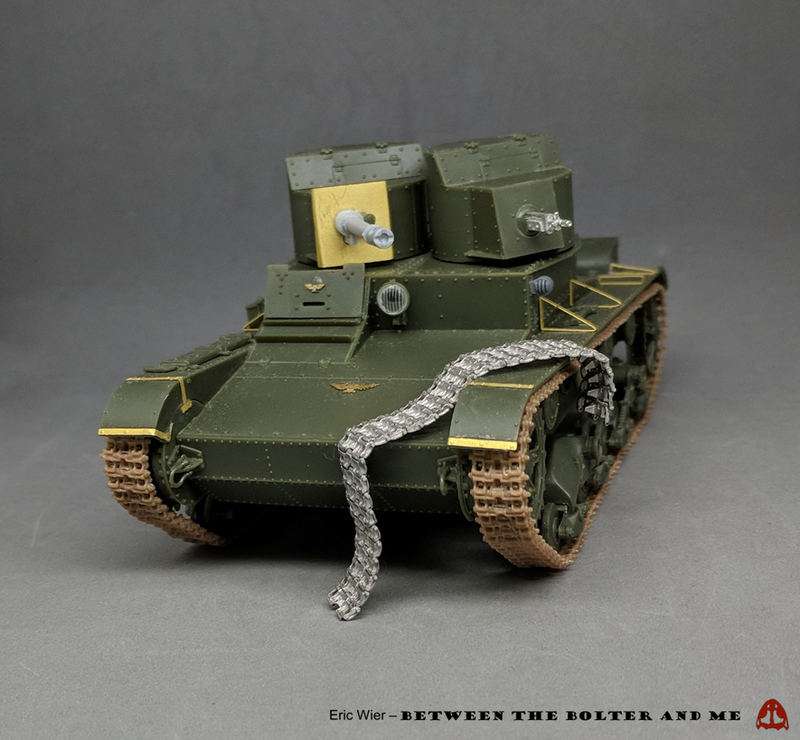 A while back I posted my efforts at repurposing a 1:35 scale Russian T-26 for use by the human elements during the Thorn Moon Crusade. After some deliberation, I decided to try painting it using some scale model techniques, primarily involving various oil paints and some enamels. For one reason or another, there seems to be somewhat of a gulf between scale model (tanks, airplanes, trains, etc.) 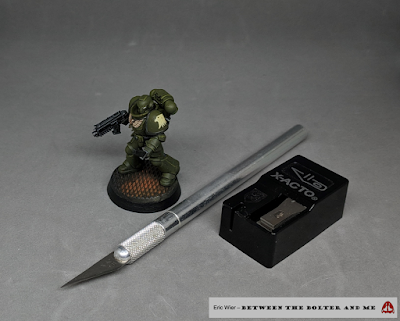 painting and miniature wargame painting. Possibly this is because GW’s line of paints are all acrylic ones, and are the easiest to find if you are already involved in the wargaming hobby. While it was quite a learning experience, I am glad to report the tank is complete, and wanted to talk a little about the painting process. Dragged into Turbolasers Episode 42: Soul Wars! We are joined by our good friend Eli Parsons to talk about the newly released second edition of Age of Sigmar and the new boxed game, Soul Wars. 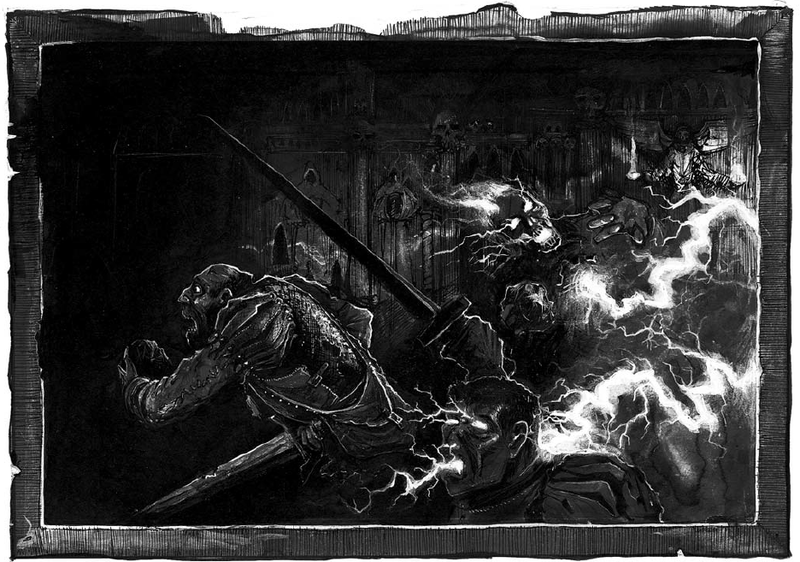 We spend the majority of the episode discussing the models and how they affect the undead and Stormcast model range. With the recent release of the plastic Van Saar for Necromunda, the hobby community finally has plastic models that are wearing body gloves (armored in this case), something ubiquitous in the background (and was popularized, and maybe coined, by Dan Abnett) but curiously absent in model form. 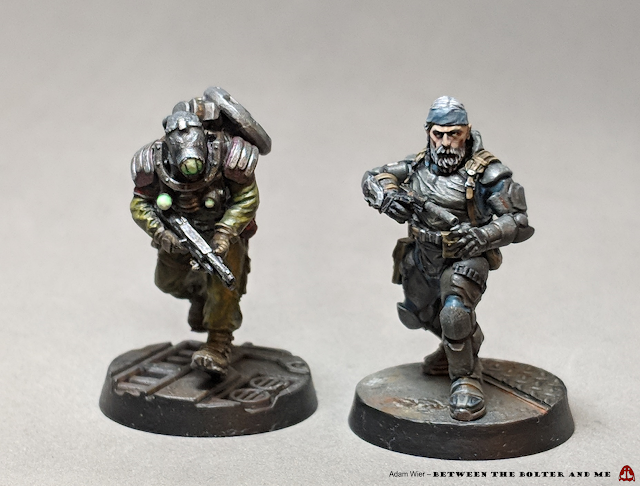 Having spent much of this year converting and casting Imperial Guard, I thought these new models would make an excellent foundation for converting a recon specialist for them (taking suitable cues from Metal Gear Solid, of course!). What started out as a relatively simple project rapidly escalated as I attempted more and more sculpting, both to distance the model from the Van Saar and to make the model fit its role as a master scout. 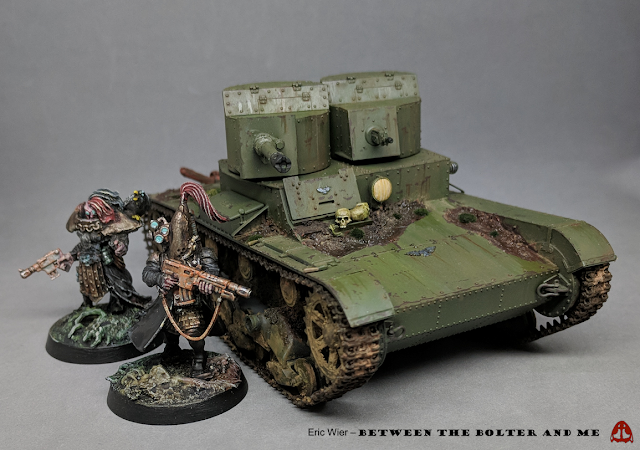 Earlier this year I built and modified a Russian T-26 tank for use in the upcoming Thorn Moons Crusade. One of the most challenging and time consuming aspects of the entire build was assembling the plastic tracks for the tank, since they were assembled link by link and fixed with tiny plastic bolts. I entertained the notion of building another tank for the Thorn Moons project, but wanted to find an alternative to the plastic tracks, one that still looked good but was easier to assemble. After a little research, I discovered that there are aftermarket metal tracks available, and decided it would be fun to see what they are like. There are two major companies that produce these tracks, Friulmodel and MasterClub. I decided to get a set of T-26 tracks from MasterClub because they use resin pins to hold the metal tracks together, rather than cut-to-fit wire (Friulmodel). Read on if you wish to learn about my struggles with building these tracks. The painting of a panic attack. 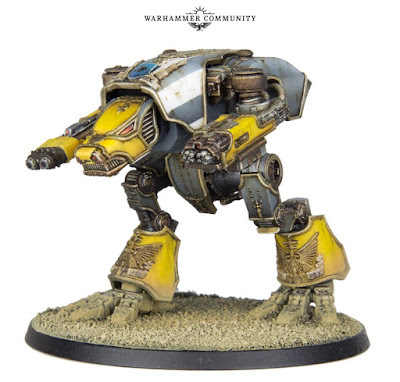 We begin this episode by talking about the upcoming Imperial Knight codex and some of the new models being released alongside it, including the Dominus-class titan. Afterwards, we talk about Games Workshop’s Shadespire, having had the chance to play it more recently. The God-machines go to war. In this episode, we discuss the recent Warhammer Fest and the various announcements made during the event. 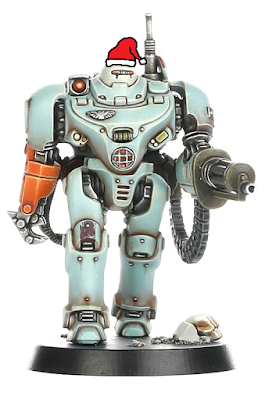 While we mention the new Nighthaunt army and the upcoming version 2 of Age of Sigmar, our primary focus is on the first Sister of Battle model shown, and the new Adeptus Titanicus game. After entering the miniature wargame market last year with Runewars, Fantasy Flight Games is attempting to cement their place there by releasing a game within the Star Wars Universe: Legion. 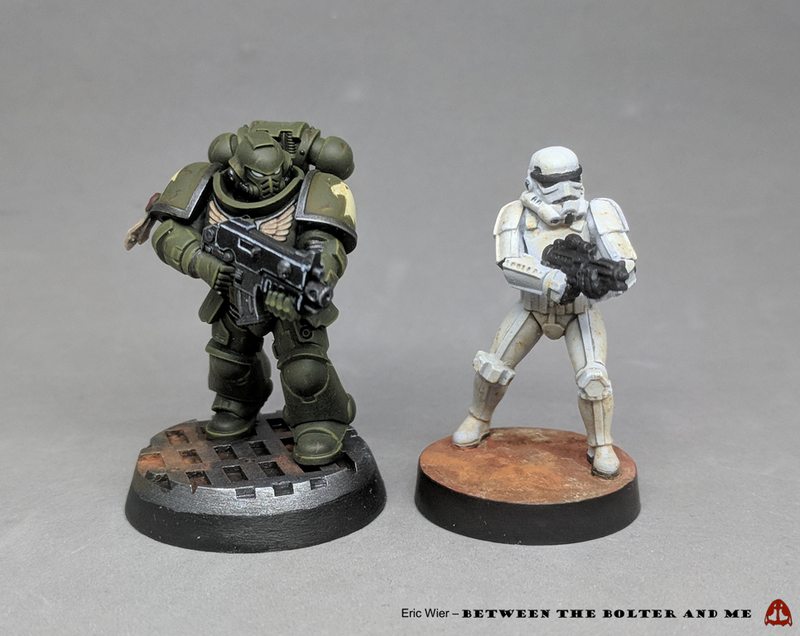 Knowing that the game was in the 28mm-32mm scale, I was curious to see how the models compared to those made by Games Workshop. Fortunately, a friend got a copy of the game and was kind enough to let me assemble a few of his stormtroopers to assess the quality! Our presence remakes the past. Having made some molds, built some mock-ups, and written some background, we are thrilled to finally show everyone some completed Spireguard from the 73rd Thorn Moon! Even more exciting, however, we get to announce that the esteemed Polysmith (one of the nicest and most talented hobbyists you will ever find!) has collaborated with us to make them into a reality! An accomplished 3d designer and sculptor, he designed and printed a range of stunning female heads to help build our Thorn Moon defenders. 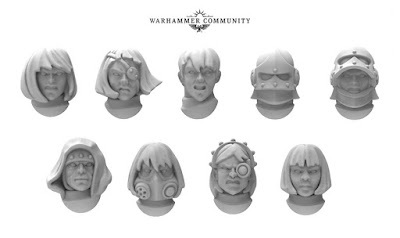 After being disappointed with the scale of the new Necromunda Escher models, we needed to find a new source for supplying us with a large number of suitable heads for the models. 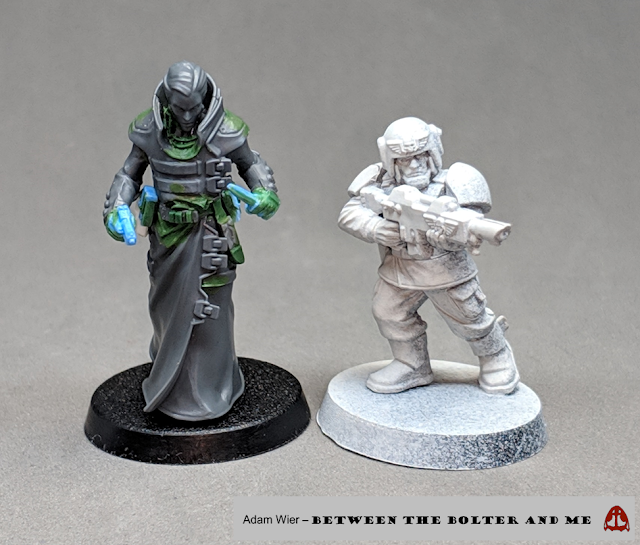 The Polysmith quickly came to mind, due to his skill with 3d design and his imaginative conversions that take GW models and turn them into something completely unrecognizable (his work on Instagram speaks for itself). He graciously agreed to help us and created a series of remarkable sculpts. Below are pictures of the initial renders and some of the final models built with them! A silicone mold for our Thorn Moon defenders. 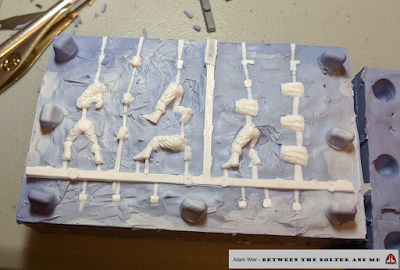 This episode is centered around how to create a two part silicone mold for resin casting. We start by discussing why we learned how to make molds in the first place, before talking about the basic principles involved. We then talk at length about various ways to improve your molds and resin casts, focusing on methods to reduce bubbles. The Shape of He to Come. 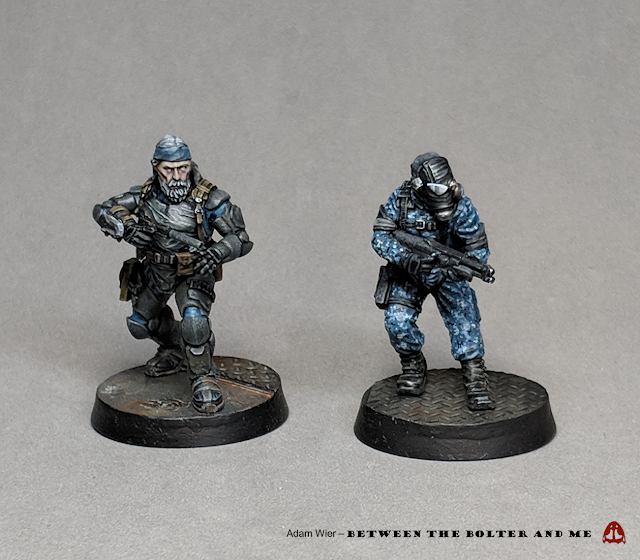 Over the past few months, we have been working on creating some Imperial Army/Guard to defend the Thorn Moons from a warpath of ravaging Space Wolves. Recently we started the process of creating some silicon molds to help expedite the process of building an army. For this post, we thought we would do something a little different and, rather than talk about our progress with the models, we would show the first of what we hope to be a few posts dealing with their background! 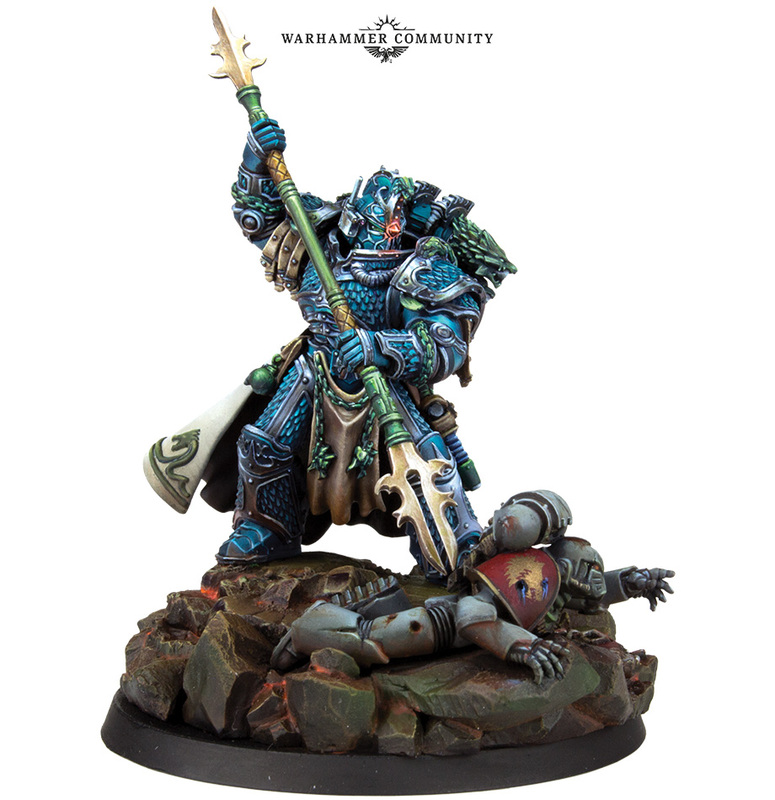 Most of the episode is spent discussing some of the newer Forge World Alpha Legion models, particularly their Primarch Alpharius and their new terminator models. We talk about how the Alpharius model falls short of the other Primarch models and what aspects set it apart from the others. We also touch on the Lernaean Terminators, and how they do nothing for the model range, only serving to emphasize how comical the terminator models look. 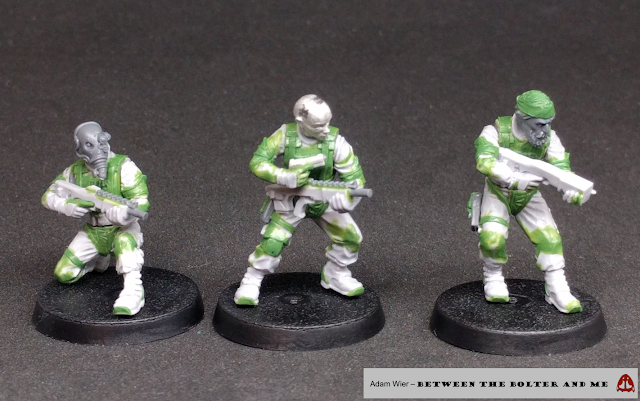 We end the episode talking about Fantasy Flight Games’ Star Wars Legion, focusing on the quality of the models and how they chose PVC over GW’s prefered polystyrene. We spend this episode discussing Games Workshop’s announcements from Adepticon 2018. First we talk about the new revealed Knight Titan and contrast it with the smaller Armiger Knight that was recently released. Afterwards we transition into talking about the newest Age of Sigmar army, the Idoneth Deepkin. We briefly discuss some of the new models and how they fit alongside the other armies. It's understood, we'll do or die. A few weeks ago, we showed our progress on our remnants of the Imperial Army defending the Thorn Moons. Since then, I have disassembled all of the models and built a few more weapons and sculpted some arms, preparing to create a silicone mold. 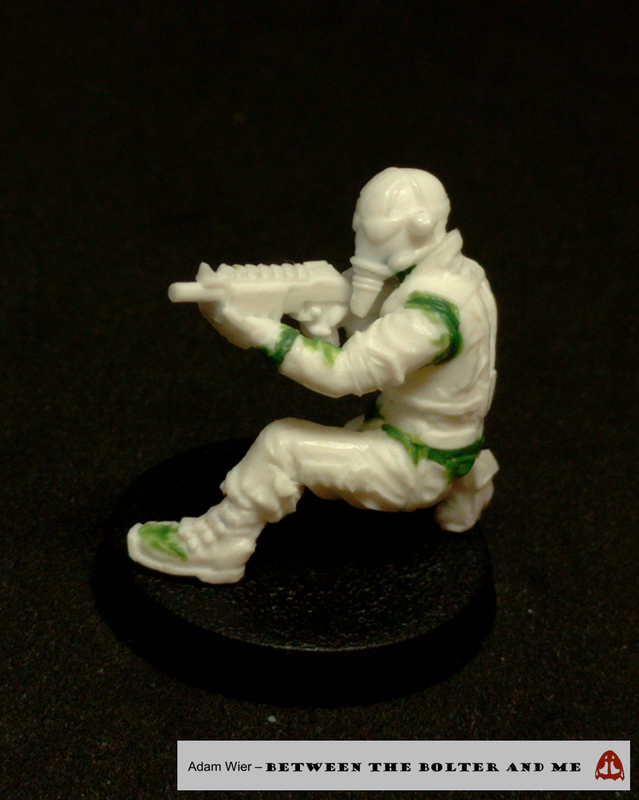 I am pleased to say that I made the first mold for the guard, and it was quite successful! I wanted to show you a few pictures of the resulting mold and the resin casts it produces. 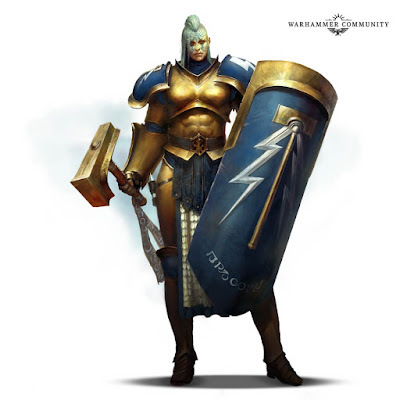 We talk about the newest Age of Sigmar army, the Daughters of Khaine with Aletheia, one of our good friends. 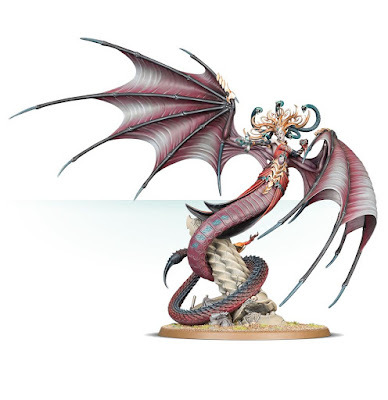 We discuss how the new models fit alongside Games Workshop’s other female models and all of their models as a whole, speculating on what they are trying to convey with their design choices. We end the episode talking about the newly revealed plastic Van Saar Necromunda gang, and how pleasantly surprised we were to discover that it is mixed gendered. It is no secret that Games Workshop does not produce many female miniatures. 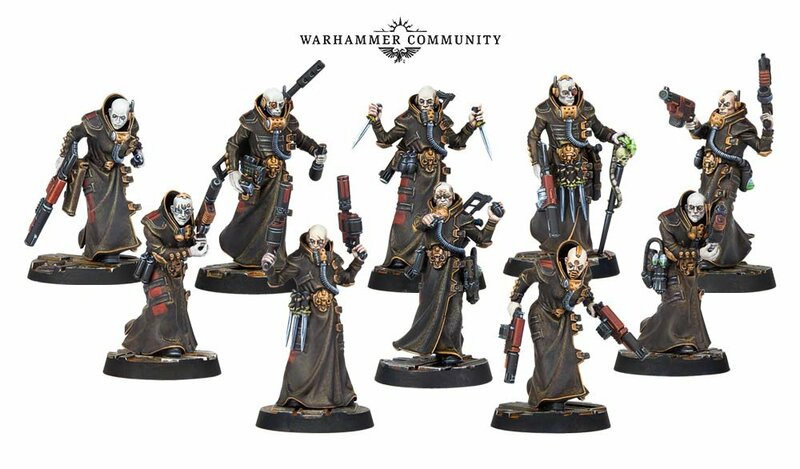 Recently, that has started to change with the release of the Sisters of Silence and Inquisitor Greyfax. While the inclusion of female models is a good thing, virtually all of these female models ascribe to the same questionable imagery: lithe and voluptuous characters in form-fitting battle armor that always accentuates their breasts. This imagery does not send the message that women are welcome in the Warhammer community. 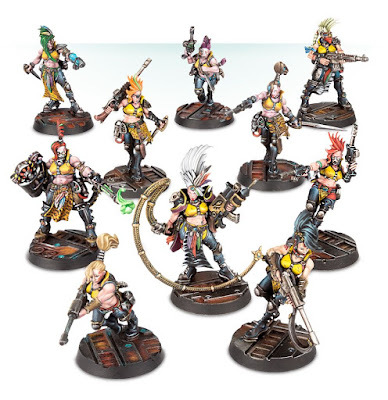 The newest collection of female miniatures to be released by Games Workshop is the the Escher gang from the re-release of the fan-favorite game, Necromunda. I had high hopes for this release, and am disappointed to report that Games Workshop has not used the release as an opportunity to present women in a less objectifying light. Read onward if you want to hear more about my concerns about this release. Late last year, shortly after Iron Sleet announced their second Invitational, we began work on some Imperial Guard to defend the Thorn Moons, the remnants of the Imperial Army that originally explored the Crataegus Fragmentum during the Great Crusade. 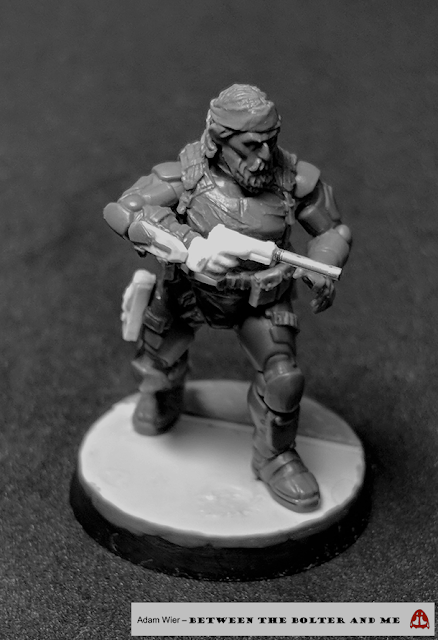 For the Guard, we wanted to create soldiers that were a little more grounded in reality than most of Games Workshop’s human warriors, eschewing bulky breastplates, rubberized mining suits, and heavily starched robes. To do this, I started to greatly modify Forge World Elysian Drop Troops. In the last few months, I have not had too much time to work on them, but am pleased to say I am now going to set my full attention on them again! I wanted to use this post to show my recent progress on them. Thought begets Heresy. Heresy begets Retribution. 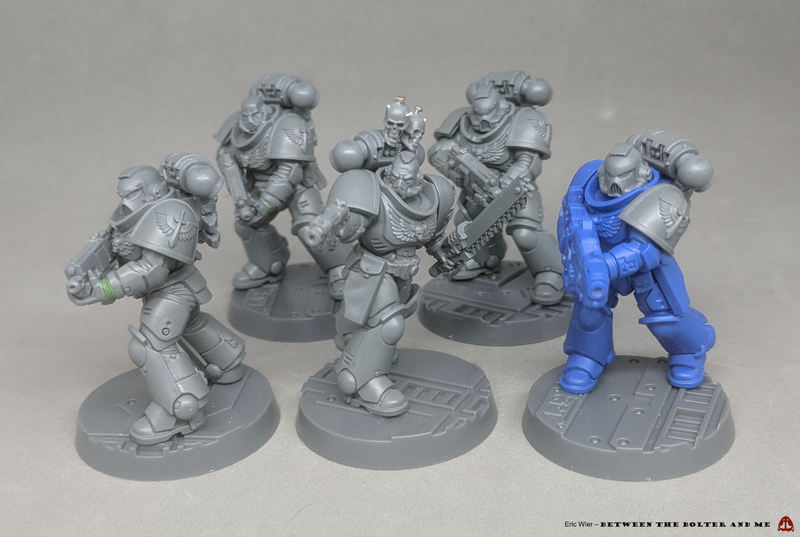 When 8th edition of Warhammer 40k was released last year, I purchased one of the starter sets, and experimented with turning the included Primaris Space Marines into True-scale Space Marines. I found that by simply replacing their powerpacks and bolters, they made pretty convincing normal Space Marines. 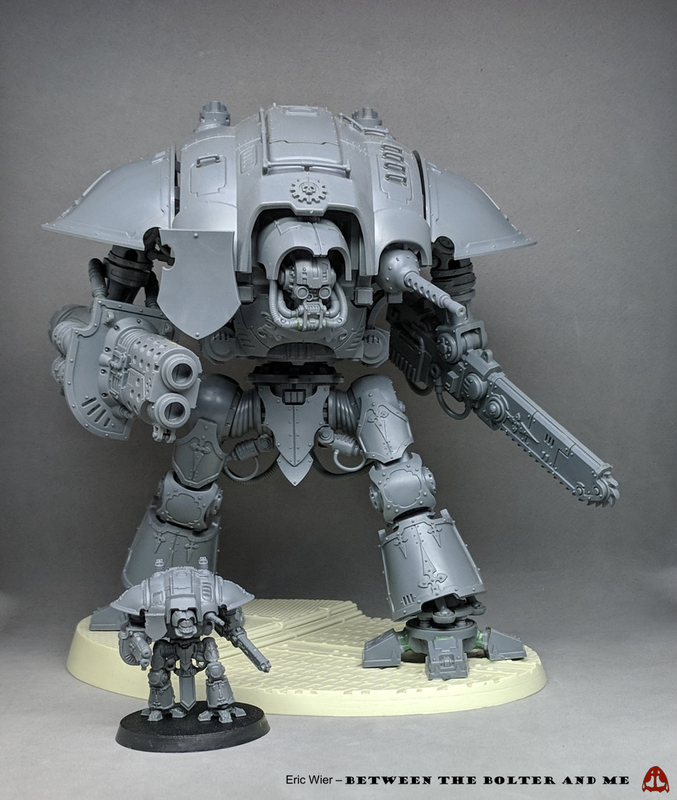 Being a longstanding Dark Angels player, when the new Dark Angel codex was released last year, I thought it might be fun to try to convert some tactical marines in this way. The hope being that I could build a bunch of them quickly to use in games of basic 40k (I manage to play a game or two each year). With this in mind, I got a box of the Dark Angels-themed Intercessors and set to work. At the end of 2017, we showcased a collection of Death Guard models that were created by a talented group of hobbyists in response to anatomical mess that was the new Death Guard models. While I also built a Death Guard model for the challenge, I was only able to start painting it recently. The model was a great opportunity to experiment with painting styles and techniques, similar to painting the Elder One that I built earlier in the year. With this post, I wanted to talk a little how I went about the process. With the release of a host of new terrible Space Wolf releases from Forge World recently, we decided to talk a little about what makes them such a disappointment, and how they speak to Forge World’s recent inconsistency in model quality. We touch on how digital sculpting has both helped and hurt many of their designs and how the incredible popularity of the Horus Heresy has put a strain on a relatively small company. 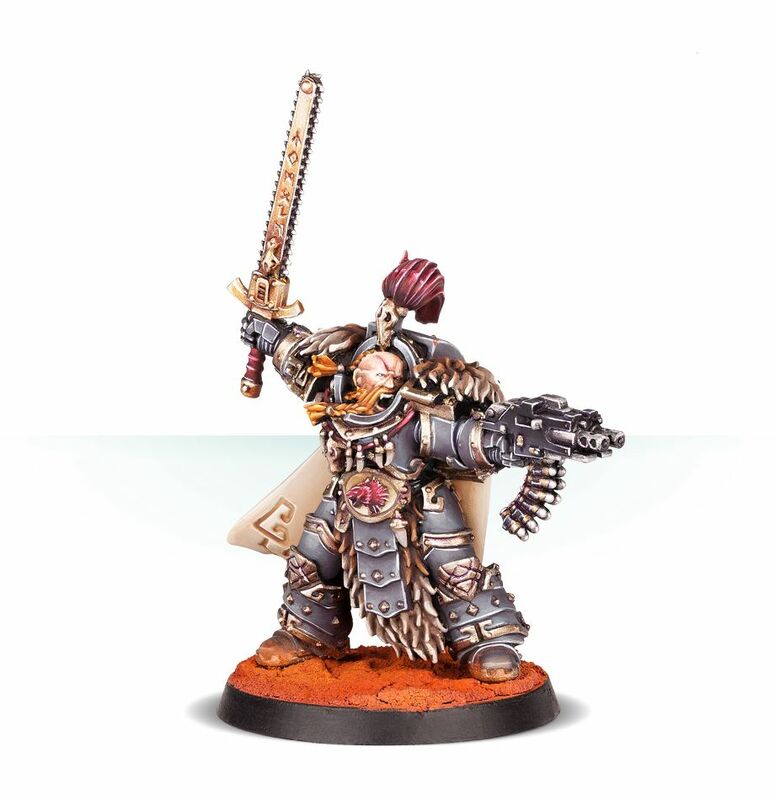 We also talk about the newly released Rogal Dorn model, and how he may be Forge World’s best Primarch yet.